MTU Benelux is a subsidiary of MTU Friedrichshafen and is located in Dordrecht (NL) with direct deep water access. Having brand new facilities we are able to serve you 24h/7 for After Sales Services in the Benelux area and to meet your needs for new engines and systems. MTU is one of the world’s leading manufacturers of large diesel engines and complete propulsion systems. 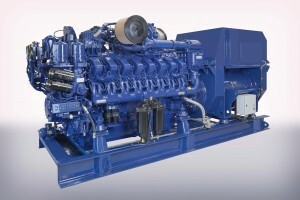 Together with MTU Onsite Energy, MTU is one of the leading brands of the Rolls-Royce Power Systems company. Its product range is the widest and most modern in the sector. It covers diesel and gas engines for marine, industrial, agricultural, rail and military applications, and for the oil and gas industry as well as complete propulsion systems with highly sophisticated automation systems for yachting and marine commercial markets. We contribute to the success of our customers with our prime brand products, dedicated staff and flexible approach towards each and every unique demand for power ranging from 30 kW to 9000 kW. Our warehouse with excellent spare parts availability, including reman products, and our workshop, test and training facilities are of the highest standards to ensure the overall quality that we want to deliver.